Through our partnerships with top technology companies, we provide best-in-class solutions that address application lifecycle, big data, cloud, cybersecurity, digital design, geospatial, IT consolidation, IT management, and business application challenges. Our application lifecycle solutions help agencies deliver smarter products faster and more efficiently. Analyzing and managing big data provides an enormous opportunity for agencies to gain critical insight from new and developing sources of data. Increasing productivity and streamlining processes with less resources is key for government agency mission success. DLT’s Cloud Solutions team has strategic partnerships with the leading IaaS, SaaS, PaaS, and Cloud Management vendors to provide our customers with a simplified path to the cloud. 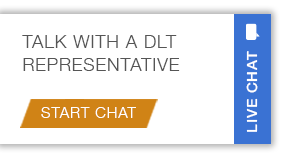 Our experts at DLT will help your agency understand the solutions available and which ones will work best for your agency to ensure you stay secure and compliant in a constantly evolving IT field. Optimizing operations is at the heart of the government’s nation-wide initiative to cut waste and reform the way agencies are managing and consolidating data.